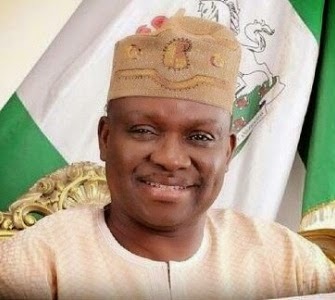 Ekiti State Governor, Ayodele Fayose, yesterday withdrew the suit against the 19 All Progressives Congress (APC) members of the state House of Assembly from impeaching him and his Deputy, Kolapo Olusola. In the suit, the plaintiffs, including speaker of the House of As­sembly which is oc­cupied by the Peoples Demo­cratic Party (PDP) factional Speaker, Olugbemi Joseph Dele; Ekiti State House of Assembly, Fayose and Olusola through their counsel, Ahmed Raji (SAN), had approached the court seeking to stop im­peachment moves against the governor. The suit however had already been struck out by Justice Ahmed Moham­med. When the matter was called for hearing yesterday, counsel to the plaintiffs, Raji, informed the court of his client’s inten­tion to withdraw the case. The plaintiff’s counsel did not give any reason for the with­drawal.